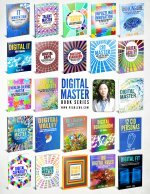 Book Description: Digital Master” is the series of playbooks (25 books) is to perceive the multifaceted impact digital is making to the business and our society, guide digital leaders and professional to shape digital fit mindsets, help forward-thinking organizations navigate through the digital journey in a systematic way, avoid “rogue digital,” to get digital ready. 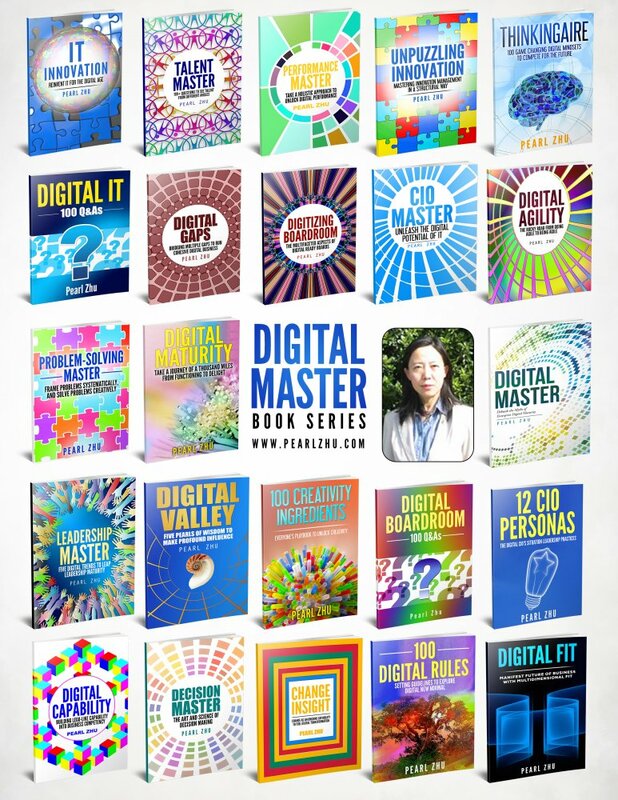 Additional Book Titles: “CIO Master,” “Digital Valley,” “CIO Master,” “Digital Agility,” “Leadership Master,” “Talent Master,” “Digitizing Boardroom,” “Change Insight,”Thinkingaire,” “IT Innovation,” “Unpuzzling Innovation,” “100 Creativity Ingredients,” “Decision Master,” “Digital Gaps,” “Digital IT,” “Digital Capability,” “Performance Master,” “Digital Boardroom,” “Digital Fit,” “100 Digital Rule,” “12 CIO Personas,” “Problem-Solving Master,” “Digital Maturity,” “Digital Pitfalls,” “Digital Hybridity,” etc. Author bio: innovative “Corporate Global Executive” with more than twenty-one years of technical and business working experience in strategic planning, Information Technology, software development, e-commerce and international trading, etc. 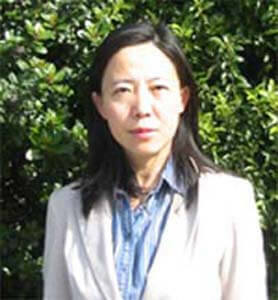 She is the author of “Digital Master” book series (25+books), which include: “Digital Master –Debunk the Myth of Enterprise Digital Maturity,” “CIO Master – Unleash the Digital Potential of IT,” “Digital Valley – Five Pearls of Wisdom to Make Profound Influence,” “Digital Agility – The Rocky Road from Doing Agile to Being Agile,” “Leadership Master – Five Digital Trends to Leap Leadership Maturity,” “Talent Master -199+ Questions to See Talent from Different Angles,” “Digitizing Boardroom – The Multidimensional Aspects of Digital Ready Boards,” “Thinkingaire -100 Game-Changing Digital Mindsets to Compete for the future,” “Change Insight – Change as an Ongoing Capability to Fuel Digital Transformation,” “IT Innovation-Reinvent IT for the Digital Age,” “Unpuzzling Innovation – Mastering Innovation Management in a Structural Way,” “100 Creativity Ingredients – Everyone’s Playbook to Unlock Creativity,” “Decision Master – The Art and Science of Decision Making,” “Digital Gaps – Bridging Multiple Gaps to Run Cohesive Digital Businesses,” “Digital IT-100 Q&As,” “Digital Capability -Build Lego-Like Capability Into Business Competency,” “Performance Master – Take a Holistic Approach to Unlock Digital Performance,” “Digital Boardroom: 100 Q&As,” “Digital Fit – Manifest Future of Business With Multidimensional Fit,” “100 Digital Rules: Setting Guidelines to Explore Digital New Normal,” “12 CIO Personas: The Digital CIO’s Situational Leadership Practices,” “Problem-Solving Master – Frame Problems Systematically and Solve Problems Creatively,””Digital Maturity: Take a Journey of a Thousand Miles from Functioning to Delight,” “Digital Pitfalls: How to Overcome Pitfalls on the Path of Going Digital,” “Digital Hybridity: How to Strike the Right Balance for Digital Paradigm Shift,” and received very positive feedback. Digital Visionary: Pearl is a digital visionary who can capture business insight, technology foresight, and perceive digital leadership and management philosophy from multi-dimensional lenses and global perspectives. She is also a forward-thinking digital leader who advocates business innovation and cultural evolution. Daily Blogger: Pearl is a prolific blogger who creates a professional and popular blog: “Future of CIO”, which has reached the 5000+ posting milestones and catching 2,700, 000 + views from the world-wide audience. It covers more than 59+ hot IT and management subjects such as future of leadership, IT trends, digital transformation, organizational culture and management, business strategy and execution, innovation, IT transformation, Digital Master tuning, decision effectiveness, CIO Debate, BPM, Culture Master, talent management and risk intelligence, etc. Change Agent: Pearl is a relentless change agent who continuously reinvents her career from an engineer to an entrepreneur to a digital Visioneer and further.